Manners MCS EH1A Stock - Right Handed - Swamp Camo - Long Action Remington700 & .. 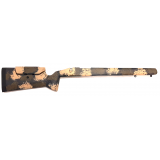 Manners MCS EH1A Stock - Right Handed - GAP Camo - Long Action Remington700 & Cl.. Manners MCS EH6A Stock - Right Handed - Black Forest Camo - Long Action Remington700.. Manners MCS EH6A Stock - Right Handed - Swamp Camo - Short Action Remington700 &.. 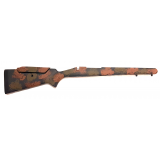 Manners MCS T6A Stock - Right Handed - GAP Camo - Short Action Remington700 & Cl.. Manners MCS T6A Stock - Right Handed - GAP Camo - Long Action Remington700 & Clo.. Manners MCS T6A Stock - Right Handed - Black Forest Camo - Long Action Remington700 .. Manners MCS TA Stock - Right Handed - Black Forest Molded Camo - Short Action Reming.. Manners MCS TA Stock - Right Handed - Swamp Camo - Short Action Remington700 & C.. Manners MCS TA Stock - Right Handed - Swamp Camo - Long Action Remington700 & Cl.. Manners MCS TA Stock - Right Handed - GAP Camo - Long Action Remington700 & Clon..